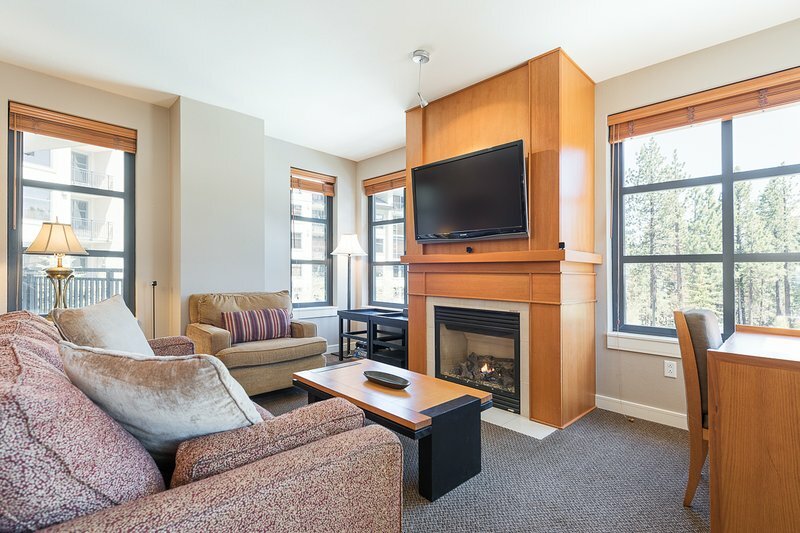 This cozy 2 bedroom, 2 bath unit at Mammoth's newest luxury hotel is located immediately next to the Village. Just steps away from the property, at the Village guests will find shopping, dining, and nightlife that make staying in Mammoth Lakes that much more exciting. This unit features a king size signature pillowtop bed in the master bedroom with a 32' flat screen TV. The second bedroom also houses a king sized pillowtop bed and a 32' flat screen TV. Each bedroom offers access to private decks overlooking the woods and Sherwins towards the south. 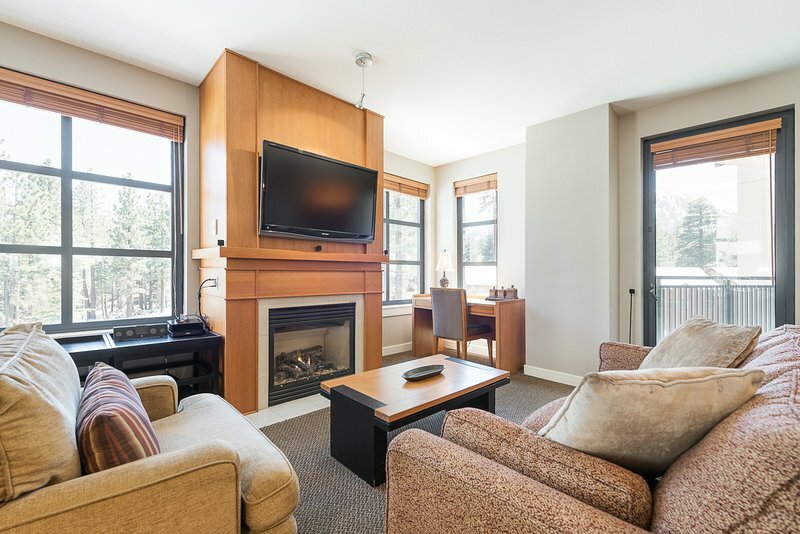 A spacious unit with great mountain views and a roomy living area, this is a luxurious retreat for your next relaxing stay at Mammoth Lakes. Other amenities you will enjoy as a guest of the 'Village' Monache include year-round heated swim...This cozy 2 bedroom, 2 bath unit at Mammoth's newest luxury hotel is located immediately next to the Village. 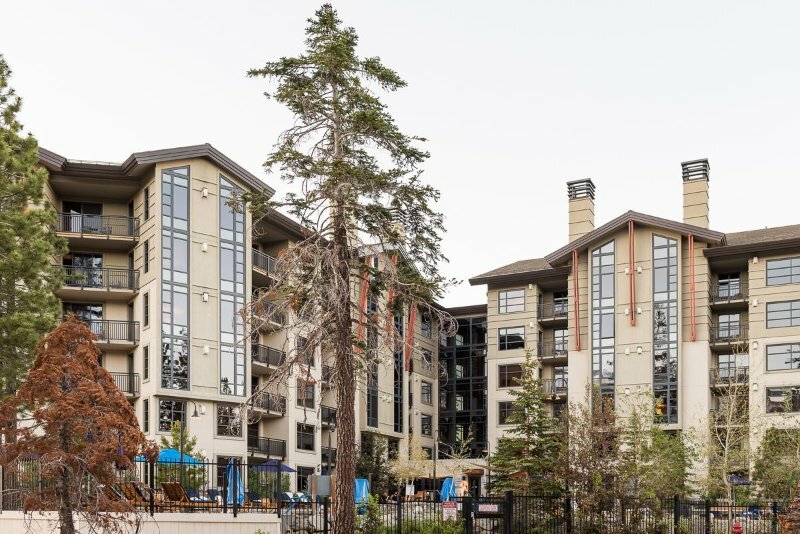 Just steps away from the property, at the Village guests will find shopping, dining, and nightlife that make staying in Mammoth Lakes that much more exciting. This unit features a king size signature pillowtop bed in the master bedroom with a 32' flat screen TV. The second bedroom also houses a king sized pillowtop bed and a 32' flat screen TV. Each bedroom offers access to private decks overlooking the woods and Sherwins towards the south. A spacious unit with great mountain views and a roomy living area, this is a luxurious retreat for your next relaxing stay at Mammoth Lakes. Other amenities you will enjoy as a guest of the 'Village' Monache include year-round heated swimming pool and hot tub, workout room and secure underground parking. The Monache also offers in-house dining at the charming Whitebark restaurant.